This is my second post in the ‘AppsFlyer Story’ series, following my previous post, Uncovering Unbiased Attribution. Every few months, following our board meeting, we gather all of our employees from 15 offices around the world, for an ‘all-hands’ meeting. We do this to bring clarity to the entire team and share some of the items discussed with the board. Last month, as we celebrated our 400 employee milestone, we held an ‘all-hands’ meeting that was especially important in our development as a company, which is why I decided to share some of what we discussed with you here. From the very beginning, we made the decision to represent the buyer/marketer side in our ecosystem, and avoid any internal conflicts of interest. 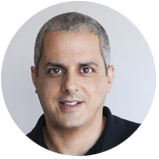 This positioning allowed us to have an open and transparent dialog with customers and build the ultimate technology, product and services to represent their interests and eventually make them even more successful. Deciding to be radically unbiased and independent has been a major factor in building the trust our clients and partners have in us. In retrospect, while we never officially defined ourselves as a customer-obsessed company, that was our northern star from the getgo and the key to our success. This vision is what led the development and growth of AppsFlyer as a company. Customer Services was the very first department we built, while the last department we started to build was our Sales organization. Up until 2016, we didn’t really have sales teams, and any ‘selling’ was executed by our Client Services team, who truly understood the prospects’ needs and how we can deliver them value. After all, what’s better than talking to someone who knows the ins and outs of the product and the market? The fact that the same person demoing the platform, was also the one taking care of on-boarding and ongoing support was extremely successful at the time. It enabled a very healthy discussion with customers and prospects and we gained a very intimate relationship with our clients that enabled us to listen and build the best product to fit their needs. When we opened each of our global offices, we hired customer service executives to lead them, to make sure that our existing customers will enjoy a great user experience, that will eventually lead to more sales. My simple mission to every new country manager was this: let’s make the companies in your region as successful as possible. We finally started to build our sales team to support enterprise clients that required tailored processes, legal agreements, compliances, and InfoSec due diligence. Even then, the core DNA of what made us successful from those earlier days, remained our primary target when building the new sales organization. There is nothing more frustrating than speaking to a sales person trying to push a product they don’t really understand, and we wanted to make sure our customers will never have to experience that. 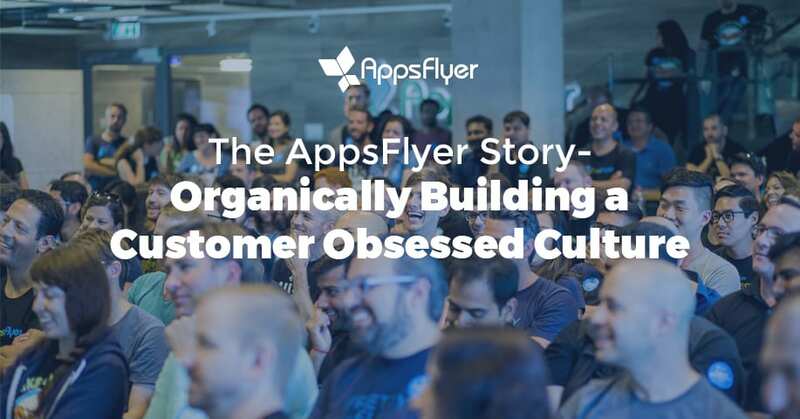 People are often surprised to hear that this is the AppsFlyer story. I noticed that many companies tend to ramp their sales teams first, without having the right product and/or client services teams to deliver on sales’ expectations. How can a company build its brand with over-promising and under-delivering? It really can’t. So we decided to have an honest and transparent sales process, and always prefer to over-deliver. This enables us to provide a better user experience, even if it means we occasionally lose an opportunity due to our honesty. In fact, we did lose a few potential clients in the past to other companies who over-sold their product. Many of them chose to switch to AppsFlyer after losing trust in companies that couldn’t deliver on the promises made by their sales teams. Today, I’m thrilled to say we have an amazing sales team made of marketing attribution and analytics experts. While we are not a consulting firm, we have gathered a unique set of knowledge and expertise within our market that is now deeply integrated within the entire company, in an effort led by our newly formed Learning & Development department. What does it mean to be Customer Obsessed? This could mean different things for different companies. For us, above all else, it means to continue being unbiased and independent and place our customers’ at the forefront of every decision we make. Being customer obsessed is all about how we make people feel about AppsFlyer. While feeling is a complex metric, there is no doubt that it is driven by the user experience. Though user experience might be confused with a branded product design and interface, we see it as driven by a combination of every touchpoint people have with AppsFlyer. 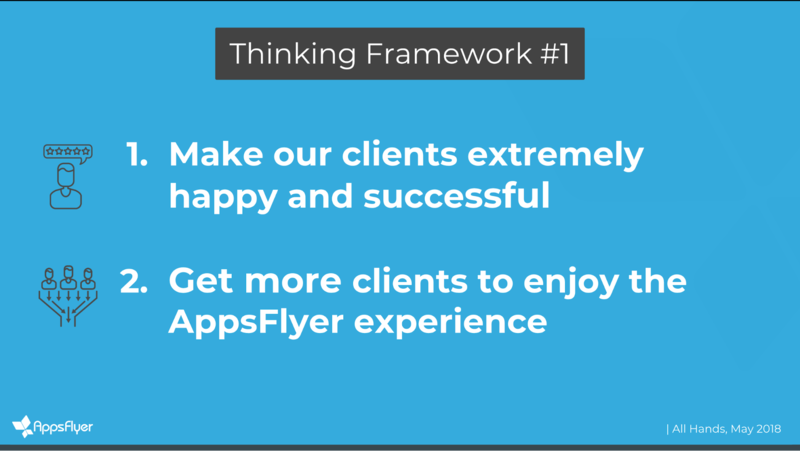 Our Products, Client Services, Support, Partners, Training, Sales, Marketing, Vendors, Candidates, Employees, and Investors, every one of these affects how people feel about AppsFlyer. For example: There is no way a company can provide a great user experience, and a bad employee experience. Happy, motivated employees are part of what makes the company great. In the weeks leading up to our all-hands meeting, we held an anonymous survey among company employees, to gain insights on employee satisfaction and learn what we can and should change. 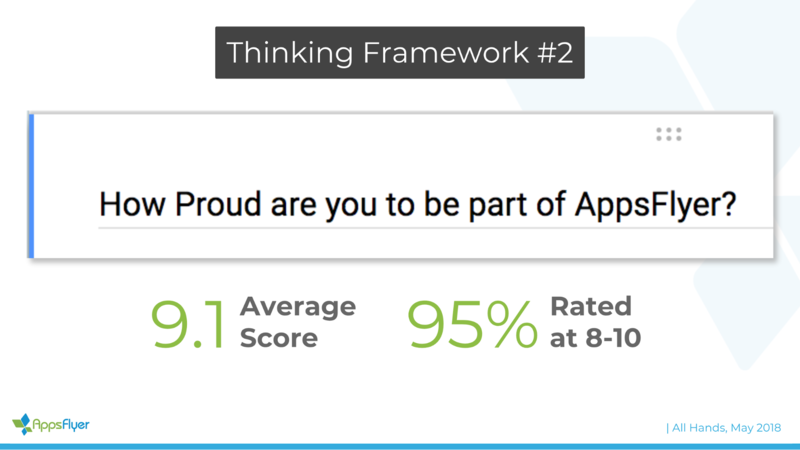 We were delighted to learn that, when asked “How proud are you to be part of AppsFlyer?” the average answer was 9.1, with 95% of the ratings being between 8-10. What drives this feeling? Everything! The people, teamwork, our product, the mission, our company culture, and so much more. We decided to build these simple frameworks that will enable AppsFlyer’s 400+ employees to make better decisions independently. We encourage all of our employees to keep these two thinking frameworks in mind and think about how they can support them. These days, you can’t have a great brand if you have a sub-par product or service, while trying to cover for it with fancy advertising and old-school branding. Think about how cable companies, cellular companies, banks, and insurance companies make you feel. Today, everything is much more transparent and amplified, for better or worse. The way we see it, the AppsFlyer Experience IS our brand, as well as a core part of our company culture. Think about the last time you had a really good user experience, a WOW moment, from one of your vendors. WOW moments are rare. They are rare because it is hard to keep up the same level of work throughout the entire life cycle of the customer. We make an effort to WOW our clients and prospects at every step of the way – from marketing, to sales, to support, and throughout their continued success. In doing so, we build mutual trust, and eventually turn them into our best advocates (And these are just a few recent examples). This is one of my favorite examples. 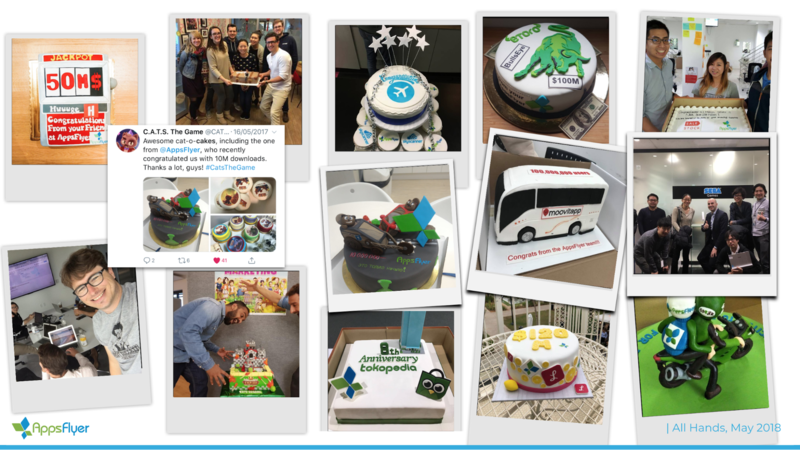 We made a habit of sending our clients a cake to celebrate their major achievements and exciting milestones. This is made possible thanks to strong relationships we built with them, primarily through AppsFlyer’s incredible Customer Services team. Our clients love receiving these, which not only makes us happy, but also amplifies their positive feeling towards the AppsFlyer brand and the people behind it. That being said, try to imagine a vendor that provides you with poor service throughout the year, and then sends you a cake to celebrate your latest funding round. I very much doubt that it will put a smile on your face. If anything, it will create resentment, and damage your view of their brand. It’s old school in the worst possible way, and you’ll see right through it. Brands can’t get away with that kind of behaviour anymore. For them to really succeed, the user experience they provide needs to provide value, be honest, transparent, and consistently amazing. To us, WOW means going the extra mile, over delivering, and providing the unexpected to everyone around us and to each other. We also encourage our team to think about these WOW moments in their personal lives, with their community, friends, families and each other. We always wanted to create a culture book (and we will) but in the meantime, we decided to make it an iterative process and started by updating our current list of beliefs that we started writing back in 2011. One of them being what we did here “Make it work, then make it better”. This list of beliefs all ties back into where I started – the AppsFlyer Experience. It touches every single thing we do and affects every single element of our business. We are better for it, and so are our clients. So when is the last time you WOWed someone in your life? If it’s been a while, you might want to get on that. There’s no feeling quite like it.